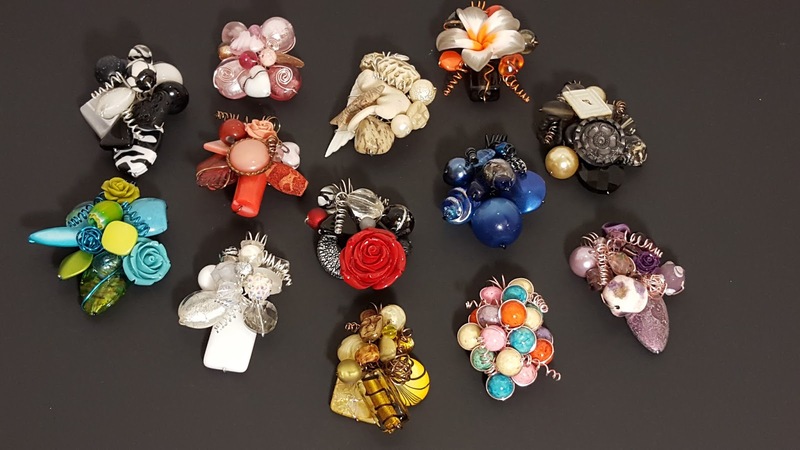 Miss Magooz Jewellery: Craft Show Season 2015! Hello everyone, I'm back with more pictures and advertising for this season of craft shows! First up, a picture of some up-cycled jean bracelets. 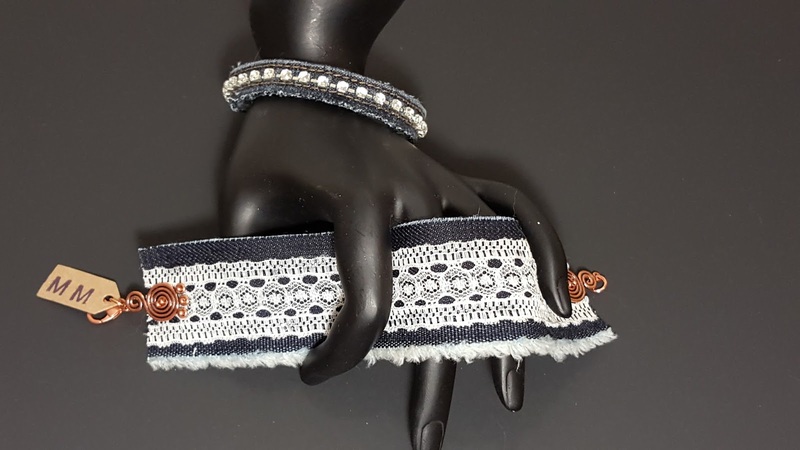 They're all made from previously worn jeans, bringing recycling to a fashionable level! Add a little lace or a little sparkle, and voila! I have also made coil bracelets with memory wire so that they're 'one size fits all' and some wrap bracelets with cute charms! There are still piles of denim to use up, and I'm working on necklaces and earrings to match. Stay tuned! 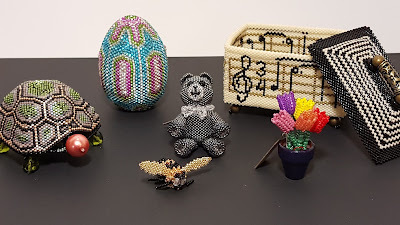 Here are some novelty beaded items that I spent last winter tinkering with. They're made from tiny delica beads, about the size of a sesame seed! From left to right, we have a turtle box (the shell comes off! ), an Easter egg, a tiny bumblebee, a teddy bear made with Swarovski crystals, a music themed box, and a tiny pot of tulips. Many hours were spent on these with needle and thread, just to see if I could make 3D works of art! 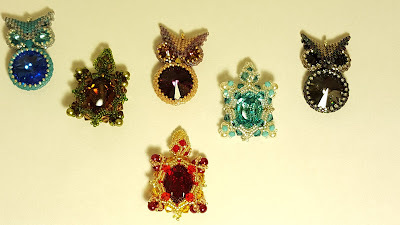 These are some beaded pendants, also made with those tiny delica beads and a needle with thread. 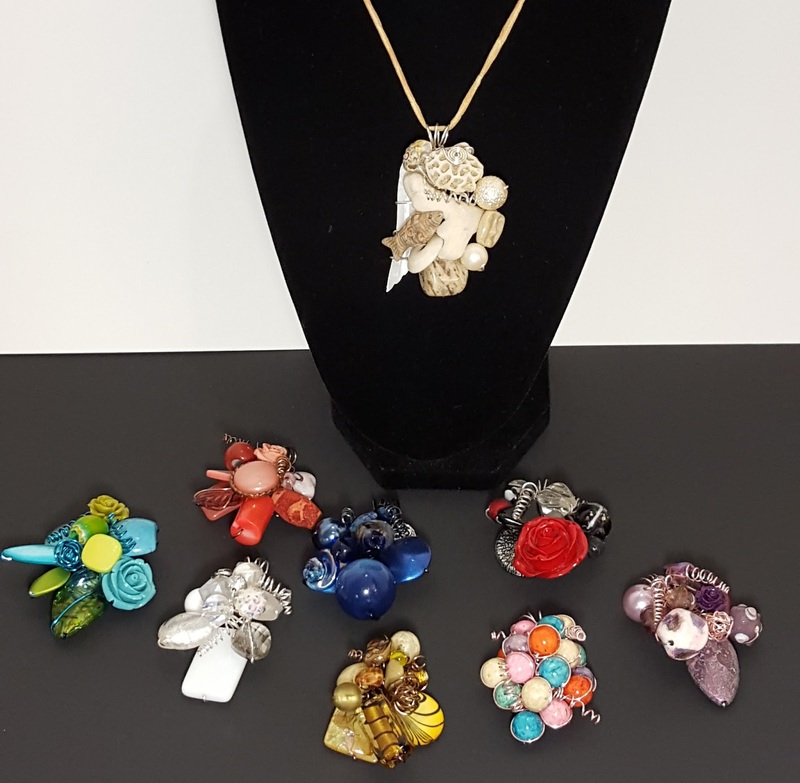 Both the owls and the turtles are made with fabulous large Swarovski crystals! Just string them on a chain or a cord, and you'll add some sparkle to every outfit. This is my latest love, making wire pendants! The best part is that they are using so many gorgeous odds and ends that have been sitting in my stash for years, just waiting for a chance to get out. I've used everything from bits of coral and shell to antique buttons. Of course glass, acrylic and stone play a huge role as well. With coloured wire to match, you can't go wrong! Again, just put them on a ribbon, cord or chain of your choice, and give everyone you pass something to be jealous of! Last but not least is my zipper necklace. 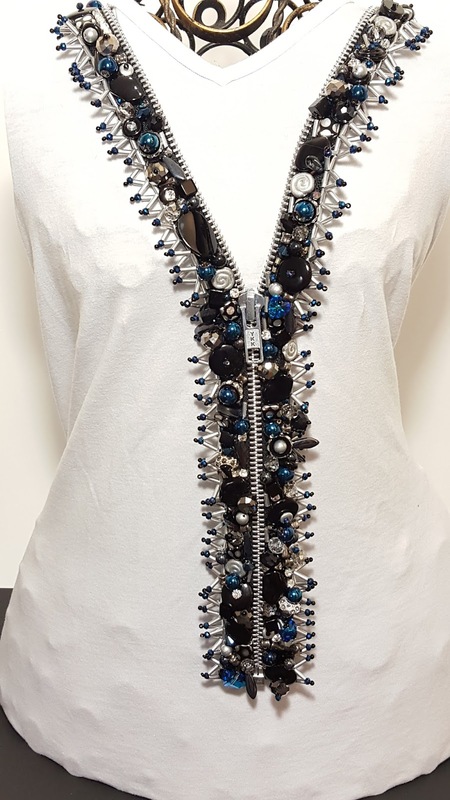 I took an every day zipper, and glammed it up with sparkly crystals and glass beads. It is just dying for a night out on the town!